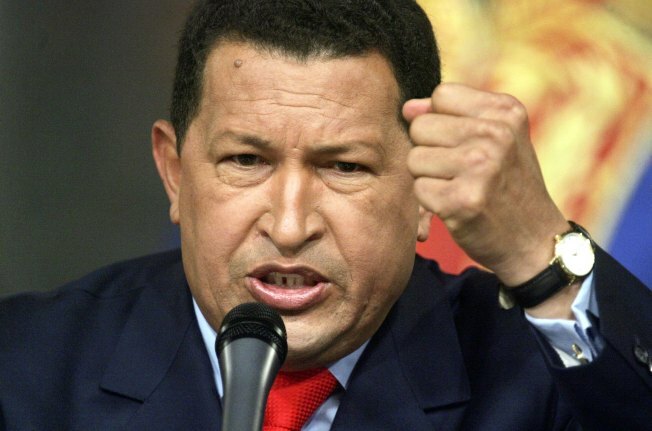 Chavez: Obama Is an "Ignoramus"
Hugo Chavez, Venezuela's president, ripped the new commander in chief after Obama said the socialist leader exported terrorism and hindered progress in Latin America. Venezuela's outspoken leader called President Barack Obama an "ignoramus" who needs to better educate himself to "understand reality." Venezuelan president, Hugo Chavez ripped the new commander in chief after Obama said the socialist leader exported terrorism and hindered progress in Latin America, Reuters reported. "He goes and accuses me of exporting terrorism: the least I can say is that he's a poor ignoramus," Chavez fumed on his weekly television show. "He should read and study a little to understand reality." Chavez said he will now scrap his plans to send a new ambassador to Washington. He recalled the last envoy he sent to the U.S. after he and the Bush administration had a disagreement last year -- the U.S. ambassador to Venezuela was also expelled. "When I saw Obama saying what he said, I put the decision back in the drawer. Let's wait and see," Chavez said. Obama told Spanish-language channel Univision in January that Chavez prohibited progress in Latin America. "My, what ignorance," Chavez said. "The real obstacle to development in Latin America has been the empire that you today preside over." Chavez, a notorious critic of U.S. foreign policy, infamously called Bush "the devil" during a speech at the United Nations General Assembly in 2006. "The devil came here yesterday," he told the UN in Sept. 2006. "It still smells of sulfur today."